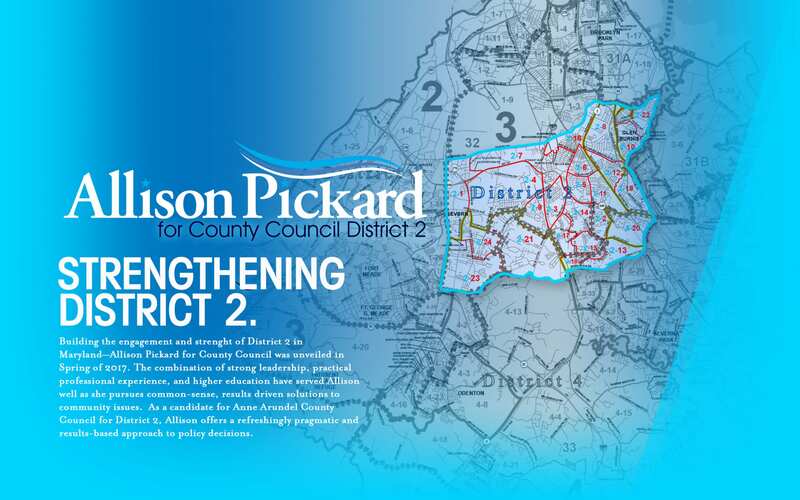 Building the engagement and strenght of District 2 in Maryland—Allison Pickard for County Council was unveiled in Spring of 2017. The combination of strong leadership, practical professional experience, and higher education have served Allison well as she pursues common-sense, results driven solutions to community issues. As a candidate for Anne Arundel County Council for District 2, Allison offers a refreshingly pragmatic and results-based approach to policy decisions. Liquified Creative defined the complete branding, website design, and engagement materials to bring Pickard’s campaign to life.